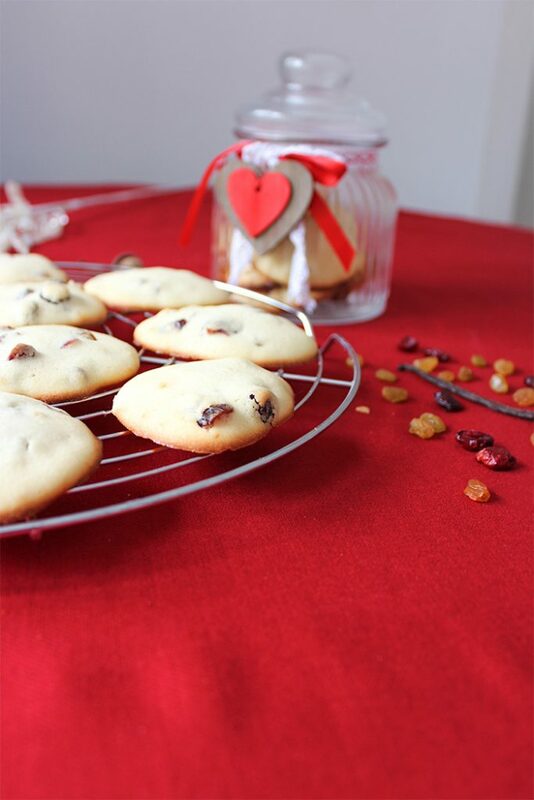 Raisin cookies are some of the most popular petit fours that you will find in Romanian bakeries. 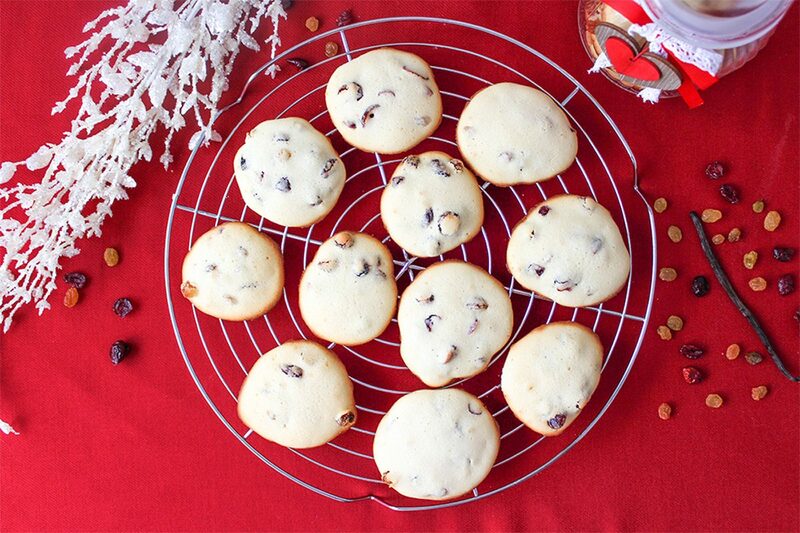 The good ones are made with butter, vanilla extract and filled with raisins. We used to buy these cookies when we had guests, but especially when we were in school, at the end of the school year, or for our Christmas party, when everyone had to bring sweets, snacks and juice. These raisin cookies were great for us kids, because they were easy to eat, with no chocolate cream that would melt in your hand, but still delicious. Even so, not all bakeries sell the good old cookies that I used to eat when I was a little girl. Some bakeries do not use butter, and decide to use margarine instead, which is not so healthy, and drastically changes the cookies’ flavor. 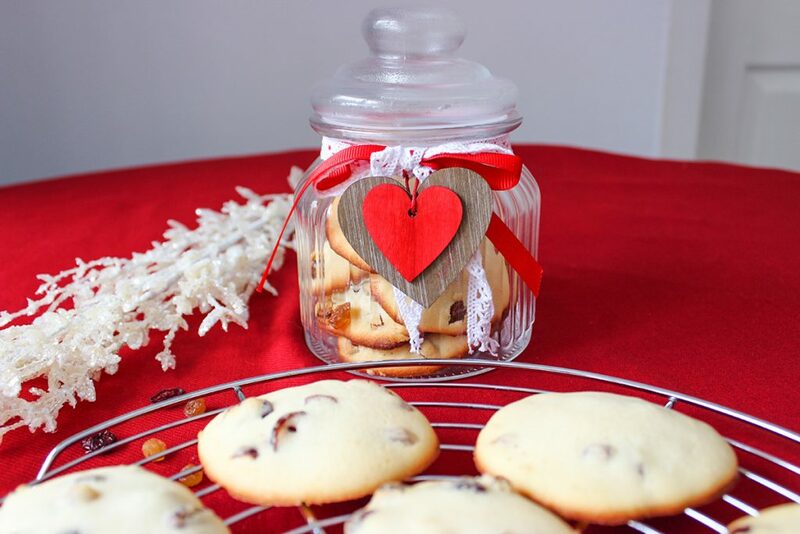 Other cookies might just have 3-4 raisins in their composition, and the vanilla flavor is missing completely. Therefore, I stopped buying raisin cookies from bakeries I don’t trust, and decided to make my own. They are more than easy to bake, they’re ready in half an hour, and you don’t even need to whisk egg whites, you just mix all the ingredients and that’s it. 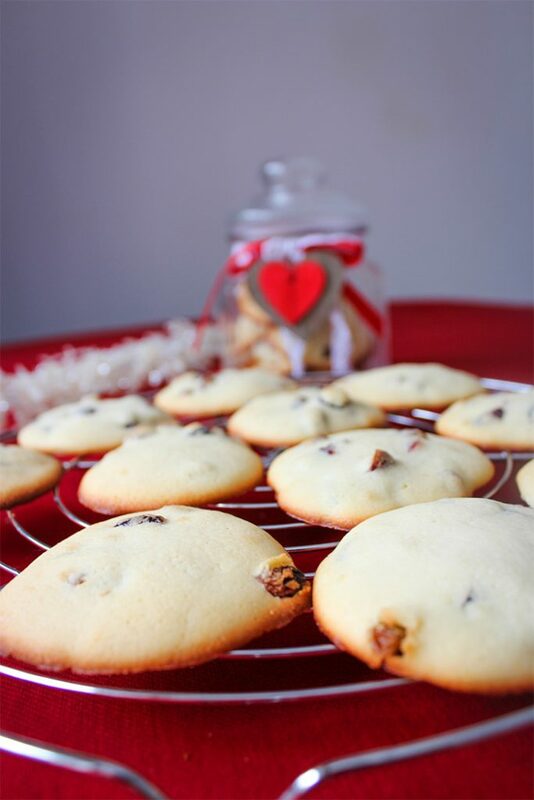 I wanted to add cranberries to the cookie batter because I love their taste, and the raisin cookies look even prettier with a bit of red inside them. I even tried to combine this batter with chocolate chips once, and it turned out great. 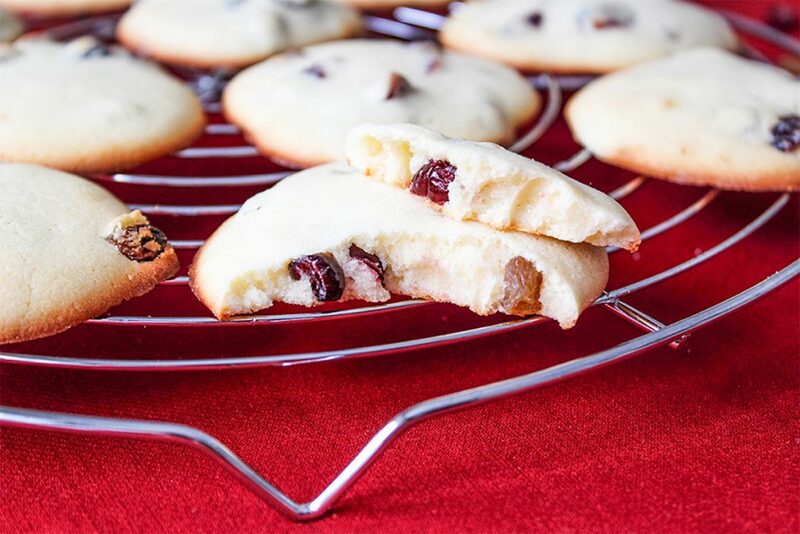 These raisin cranberry cookies are not crunchy, they’re just the opposite: they melt in your mouth as soon as you bite into them. They’re great if you have some unexpected guests – you can bake them fast and serve them 10 minutes after you take them out of the oven. 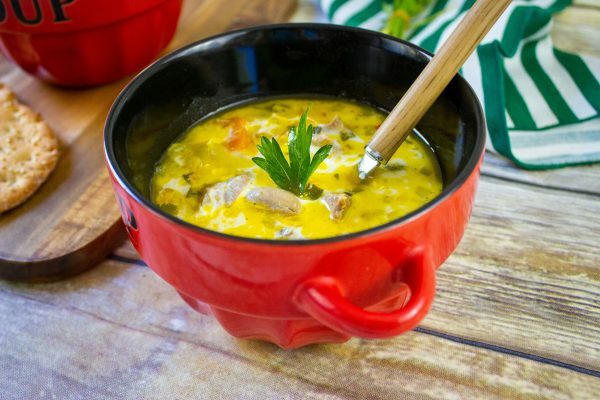 Make sure that you take the eggs and the butter out of the fridge at least half an hour before using them to prepare the cookies. If the butter doesn’t soften fast enough, cut it into small pieces while it’s cold, and leave it at room temperature, or place it near a heat source – not too close though, or the butter might melt completely. If you want, you can substitute the vanilla extract with any other flavor you like. I would use orange extract, rose water, rum flavoring or lemon extract. 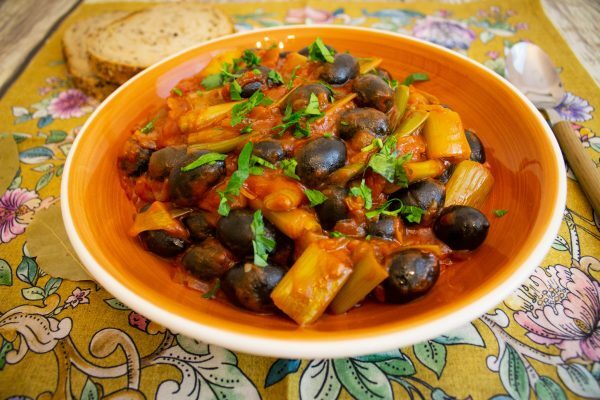 You can also skip adding the cranberries and just use raisins, or substitute the dried fruits with chocolate chips. 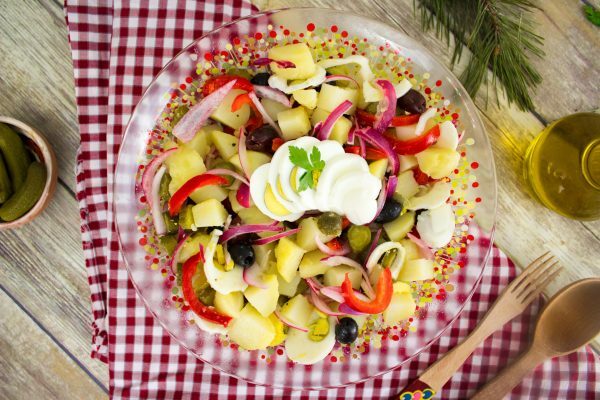 Be creative and try any combination you like! Using a spatula, mix the softened butter with the powdered sugar, until it has a creamy consistency. Add one egg at a time, and mix using a whisk. Add the vanilla extract and the pinch of salt, then the entire quantity of flour, and mix with a spatula until everything is well-combined. Add the raisins and the cranberries and distribute them evenly in the batter with the spatula. Using a spoon (an ice cream spoon works best), take equal amounts of batter and place them on an oven tray covered with baking sheet. Make sure you leave enough space between the cookies, because once they’re in the oven, they flatten and expand. 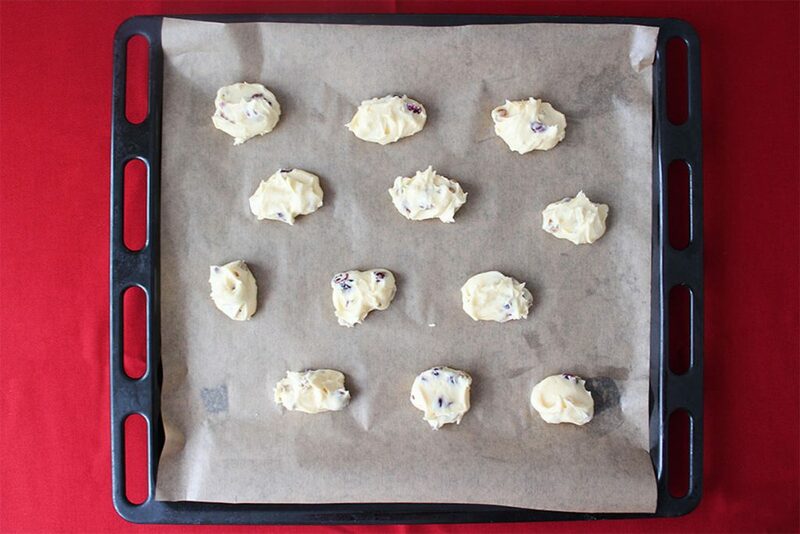 Bake the cookies at 200°C (400°C) for 8 to 10 minutes. They should just be golden brown on the sides. 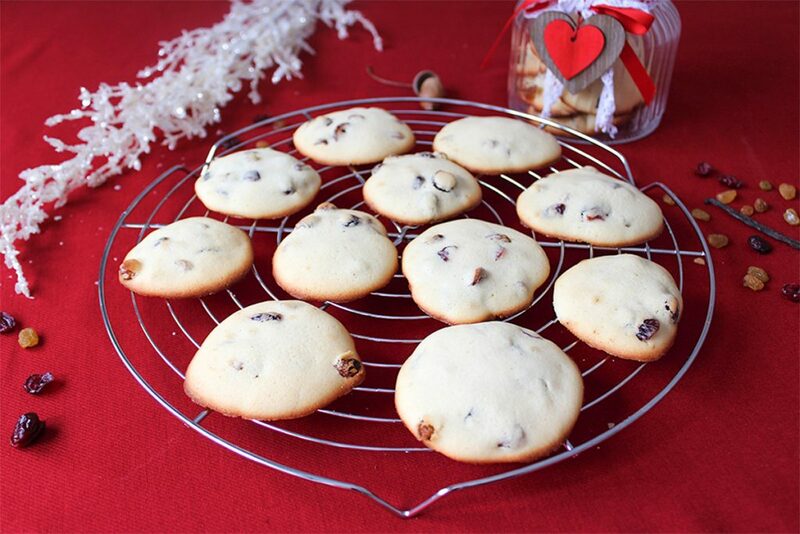 Take the raisin cranberry cookies out of the oven, leave them in the tray for 5 minutes, then let them cool completely on a cooling rack. My great aunt from Romania apparently used to make great golden raisin cookies, and I can only assume they were much like these. I will try to make them, too, in her honor. Thank you!